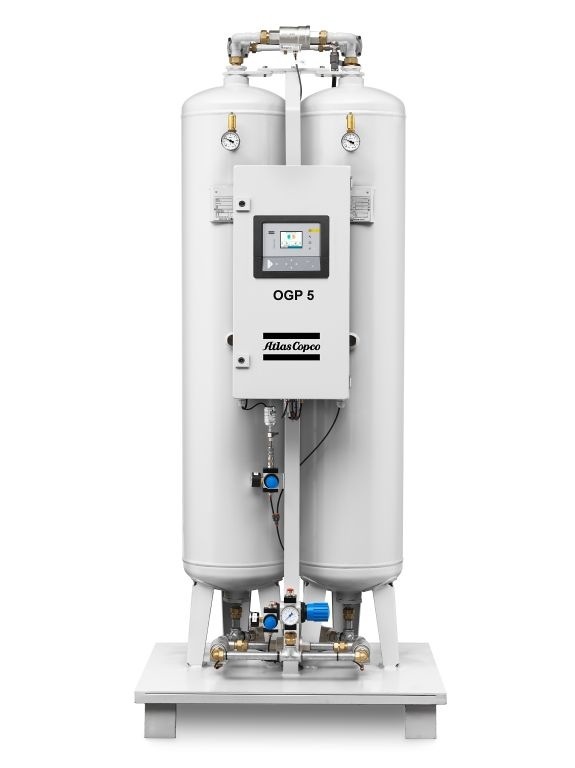 Atlas Copco’s OGP oxygen generation systems provide a cost-effective, reliable and secure supply of oxygen. 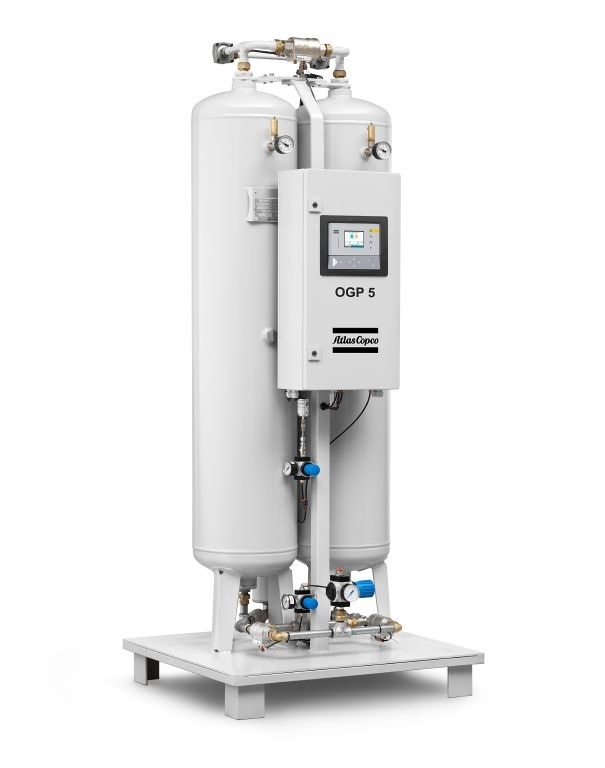 The oxygen generator’s working principle is based on Pressure Swing Adsorption technology, with zeolite pellets that selectively isolate oxygen molecules from other molecules in compressed air. The OGP oxygen generator is perfect for applications such as ozone production, waste water treatment, health care, glass industry, etc. Cost Savings – Our OGP systems are characterized by low operating expenses and the absence of additional costs such as order processing, refills and delivery charges. Maintenance costs are kept to a minimum too. Convenience – OGP systems are continuously available, 24/7, to eliminate the risk of a production breakdown due to gas running out. High Purity – We guarantee the oxygen supply according to your needs, from 90 to 95% oxygen purity. 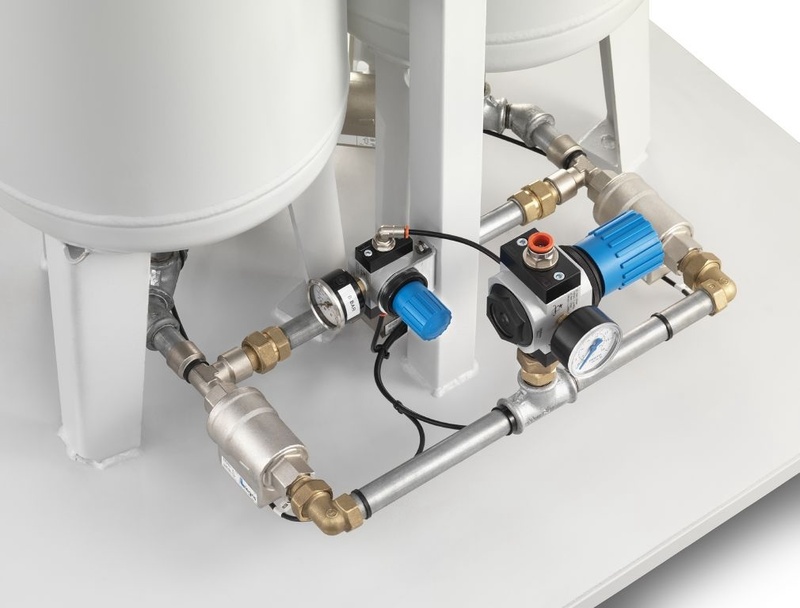 Plug-and-play – The OGP is delivered ready to use, you only need a supply of dry compressed air.